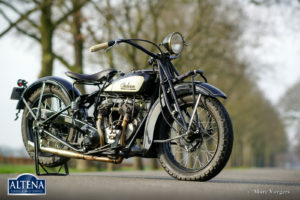 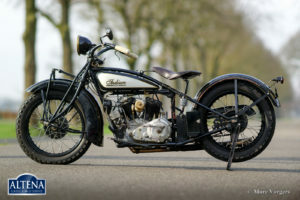 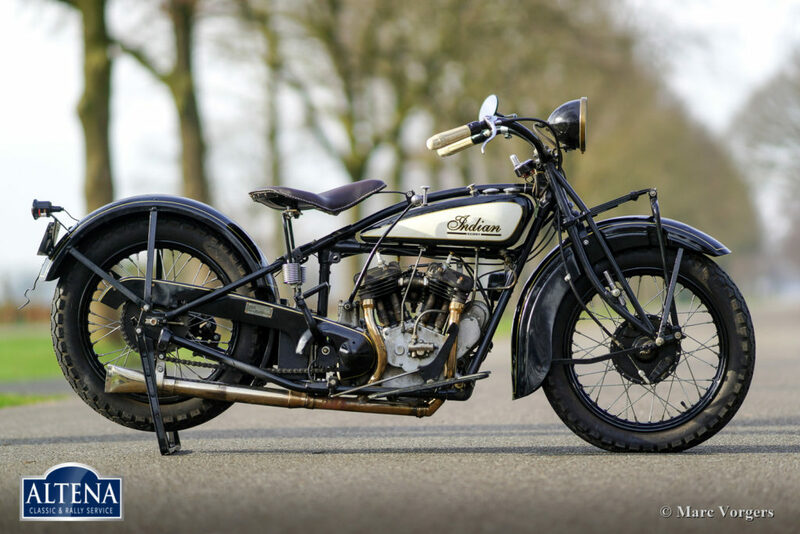 Indian Scout model 101, year 1929. 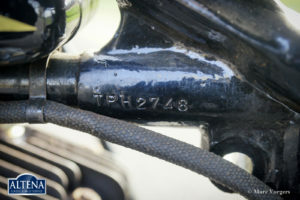 Frame number TPH 274X, engine number 287X. 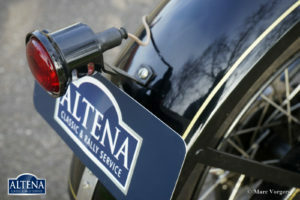 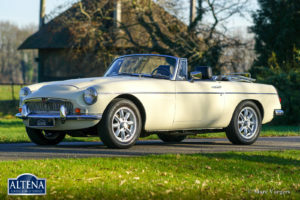 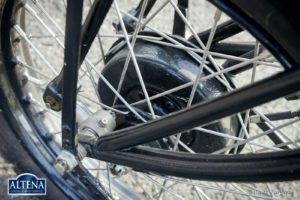 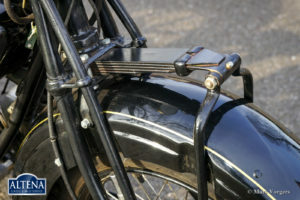 Colour black with crème white petrol-tank sides, black wire wheels and a dark brown leather saddle. 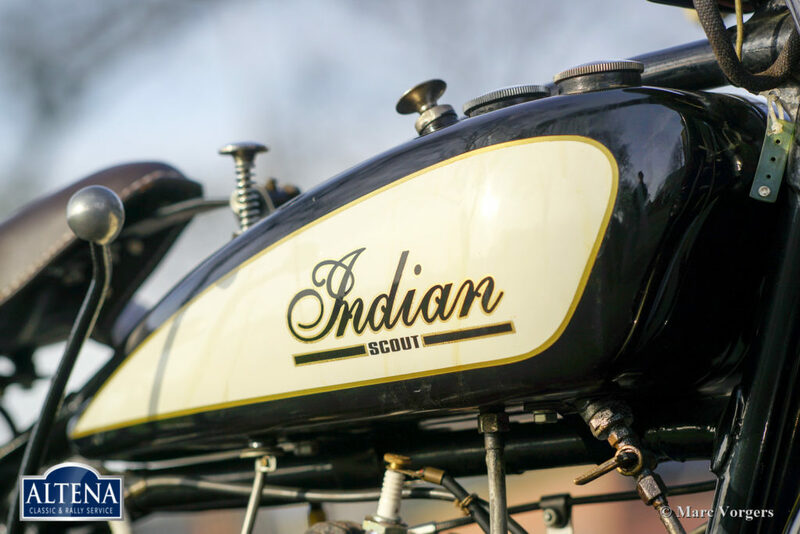 This rare and very special Indian Scout motorcycle was extensively restored some decades ago. 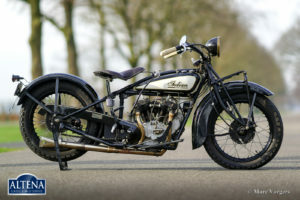 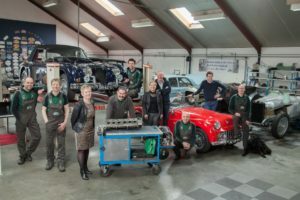 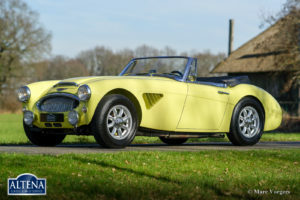 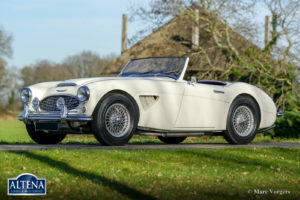 This magnificent machine is in very good condition showing a beautiful vintage patina. 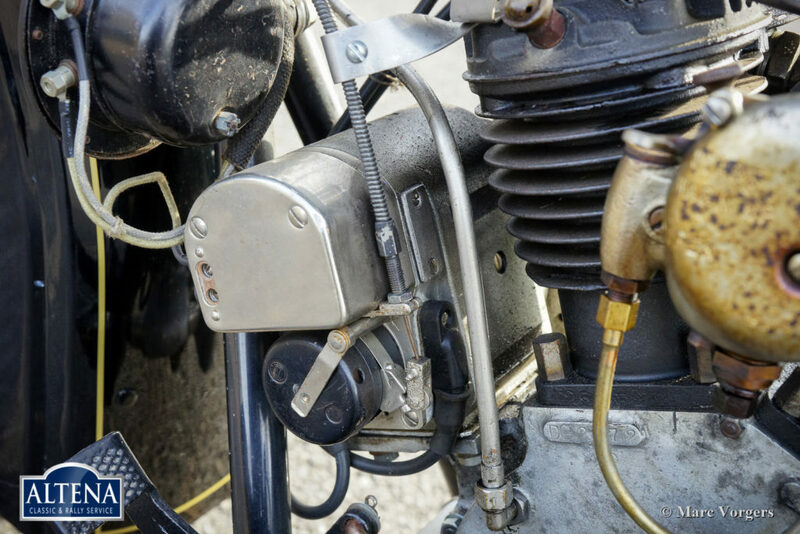 The 596 cc 2-cylinder (V-Twin) four- stroke OHV engine delivers just over 8 bhp. 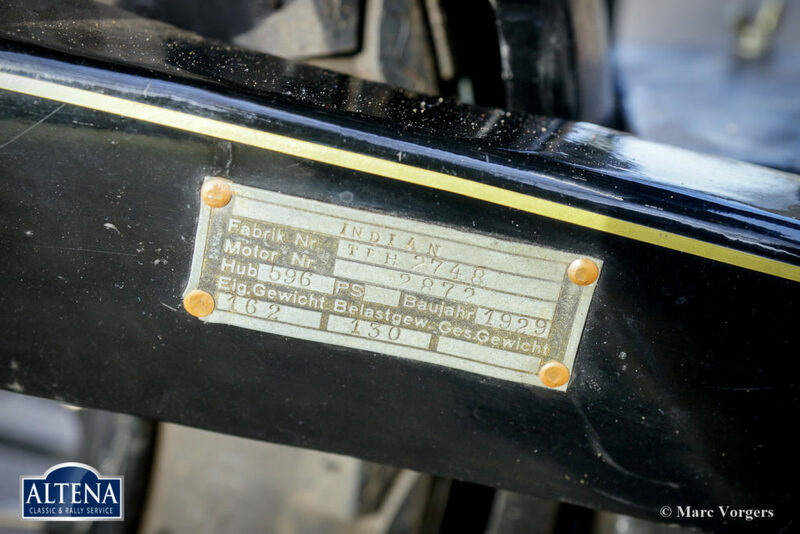 and the machine weighs 185 kilogrammes empty. 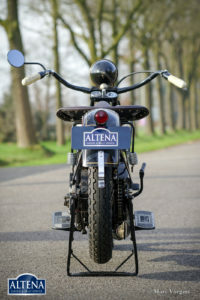 Indian once was the biggest motorcycle company in the world. 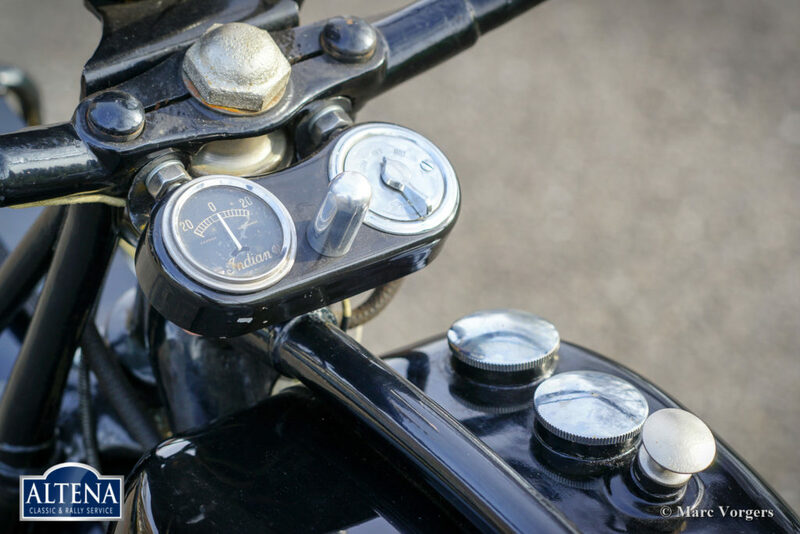 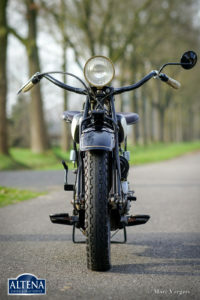 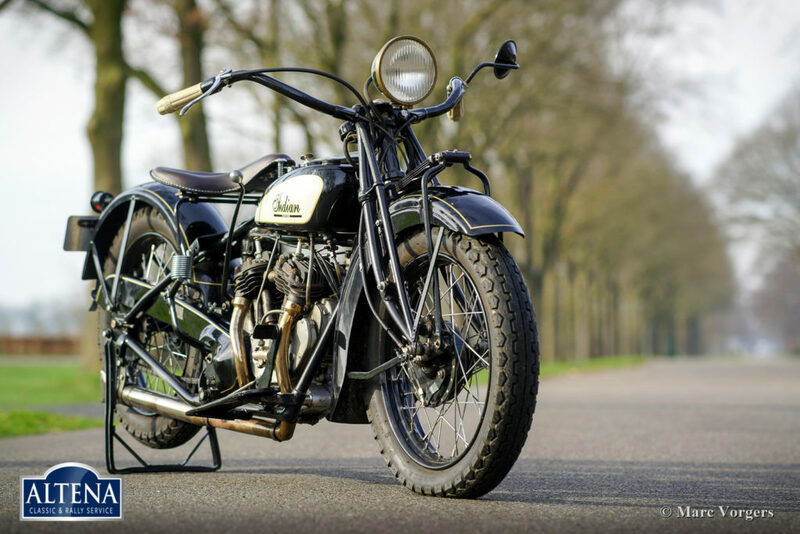 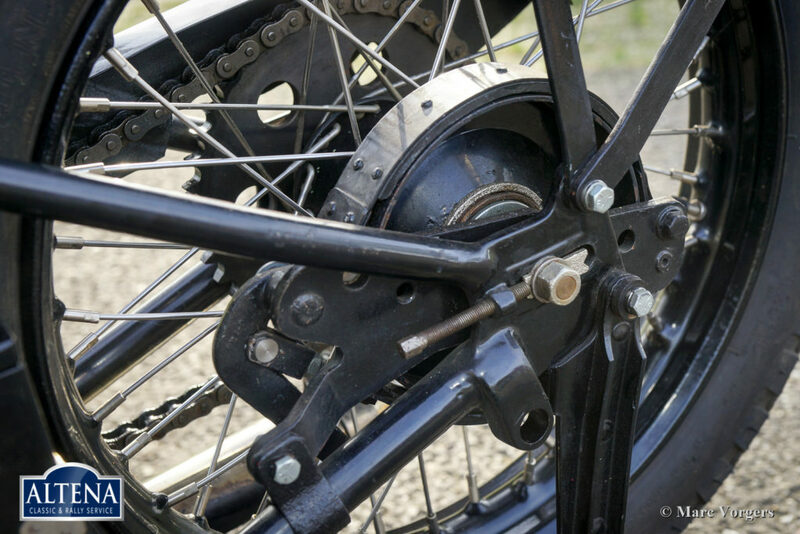 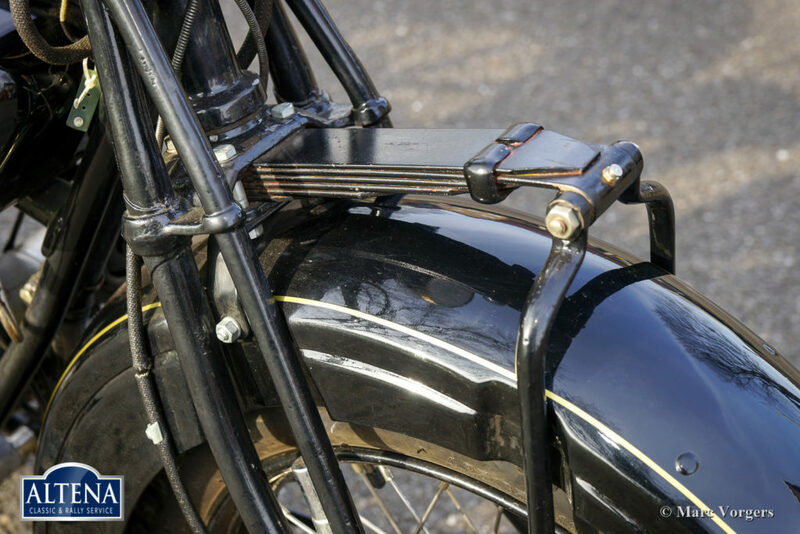 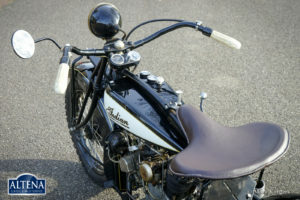 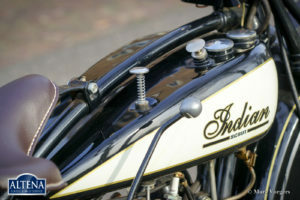 These legendary machines were built in Springfield from 1901 until the mid-1950s, the early Indian motorcycles were ahead of the competition because of their very advanced design. Indians became famous before World War 1 because they built very competitive racers. 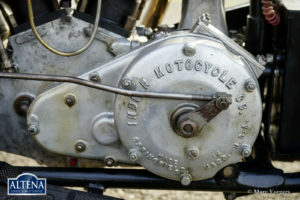 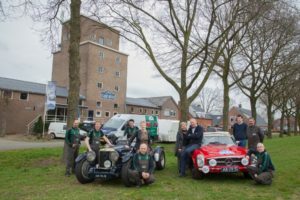 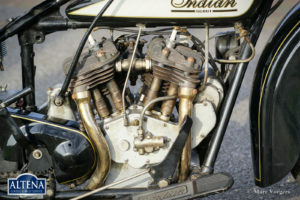 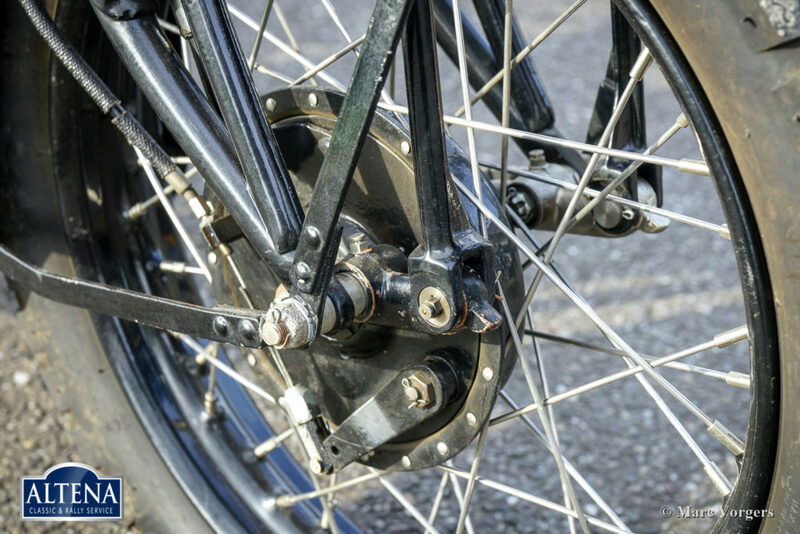 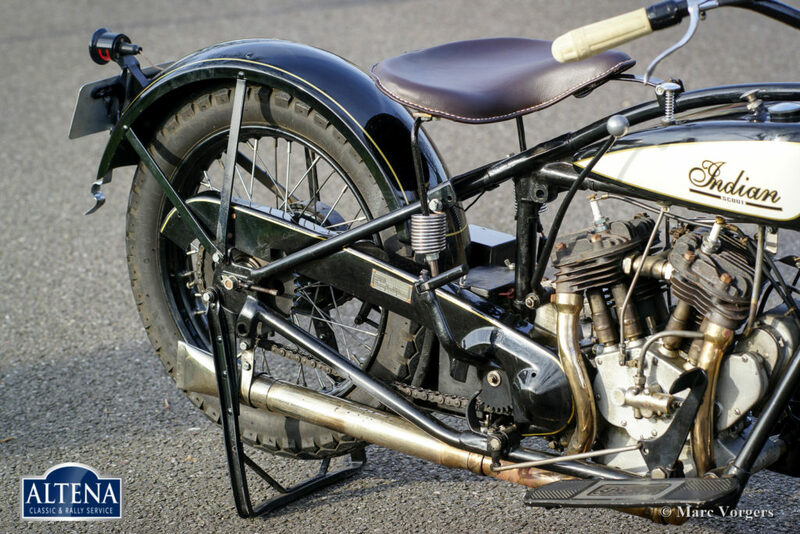 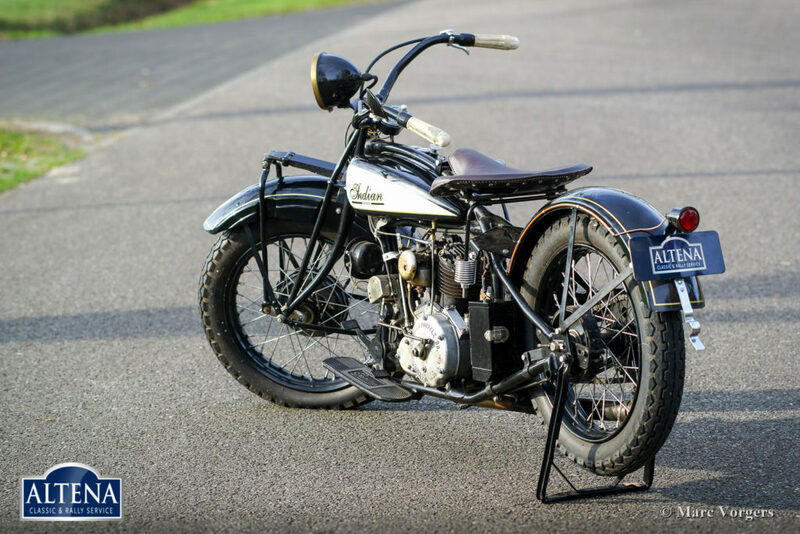 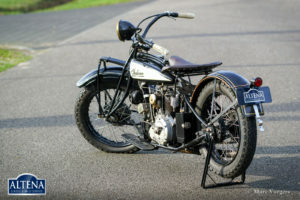 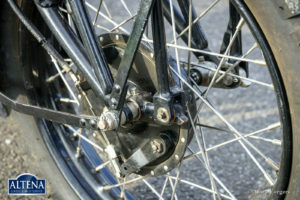 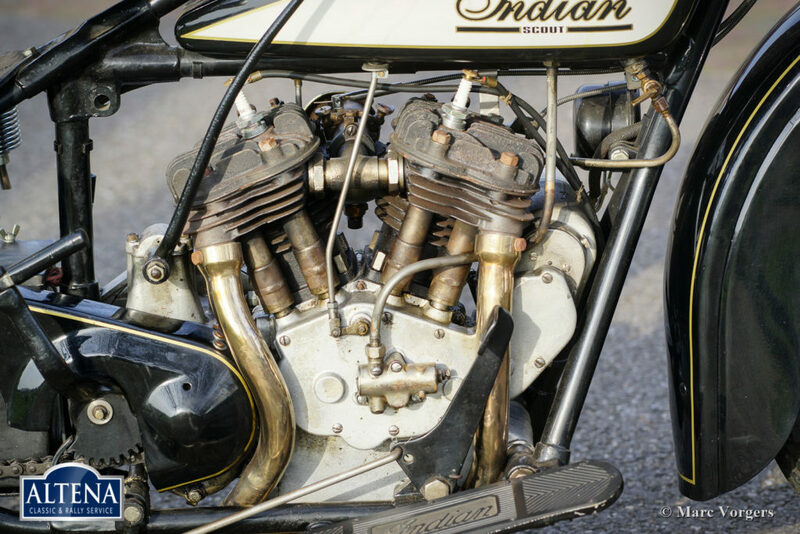 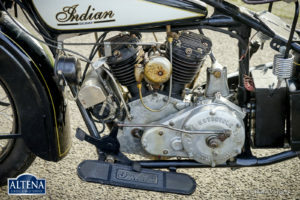 The machines were also very successful on the old Brooklands circuit in England where Indians scored a 1, 2, 3-victory in the 1911 Senior TT-race. 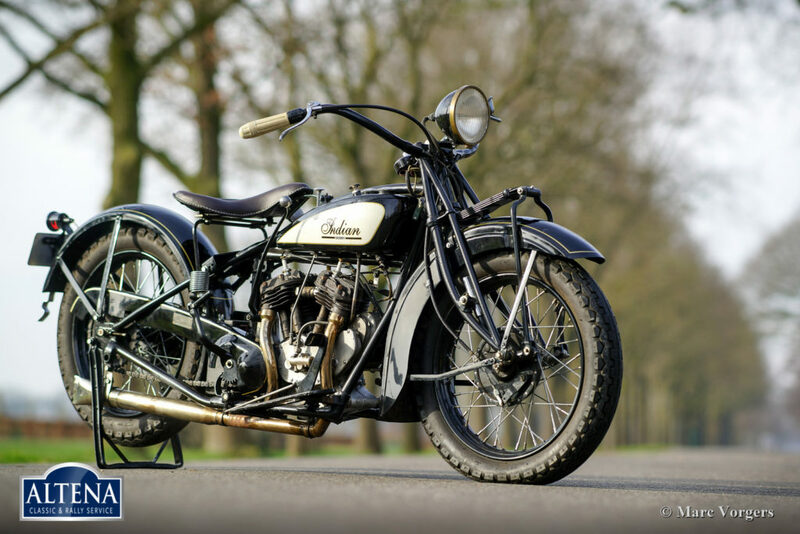 The Indian Scout and the Police Scout are the most outstanding models of the late 1920s and therefore today very coveted by collectors and enthusiast alike. These legendary American machines are very hard to find on the European continent; this Indian Scout is a true collectors-item!